Patriots Limousine service is Boston’s best way to reserve a safe and reliable limo Service to Logan International Airport: or a car ride to the airport. We are able to provide convenient pickups from your home, office or hotel in the Boston area and all Massachusetts towns and their airports. You can also use our online reservation facility through your phone to reserve a limo service or a car service at the touch of a button. Patriots Limousine offers twenty-four hours and seven days week Boston Airport limo services ground transportation to Logan Airport (BOS), which cover the city of Boston and the New England area with a chauffeured fleet and latest model luxury vehicles. Limo service to Logan provides a rapid, reliable and convenient airport transfer limo service to Boston-Logan Airport from all the greater Boston City. Moreover, our network can cover the area in the states of MA, NH, RI, and CT.
You don’t need to take the risk of missing an important business meeting or family event. The team at the Patriots Limousine containing the professionals who are standing by 24/7 to get you to your destination on time and in the executive style and comfort you can expect from a premium limo service provider. From your flying out to returning home, our limo service is known as the top Boston car service in the Boston metro area. We offer an hourly chauffeured service which can avail with latest model sedans, well-maintained limousines, Vans, black cars, SUVs Coaches. Luxury vehicles help us make transportation to Logan Airport BOS private and hassle-free. Limo service to Logan offers direct and nonstop door to door Chauffeured transport, airport ground transportation services to and from your designated destination whether it’s your home, office or hotel. To cover all the major airports and piers in the greater Boston we serve in the New England area, including Logan Airport (BOS), Newark, JFK, LaGuardia, TF Green, and Bradley. 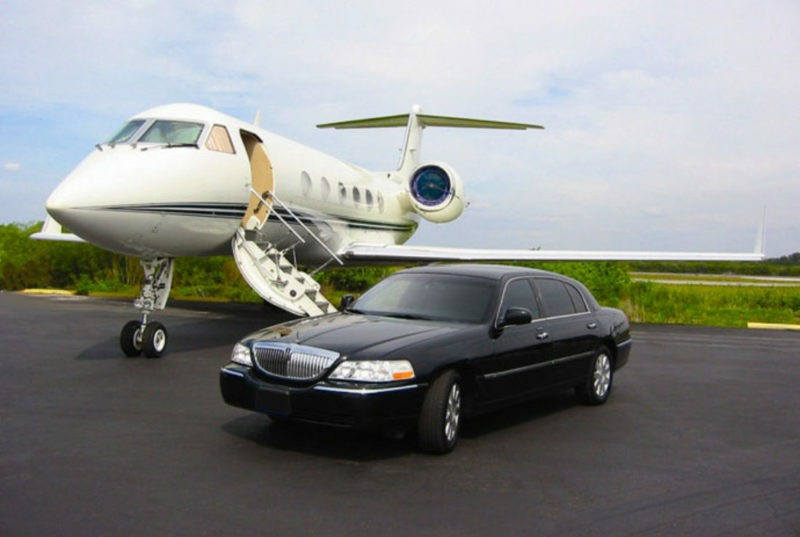 Whether you planed your small private aircraft or a large charter flight to traveling from Logan or any airline our luxury limo service can fulfill your instant need for most reliable chauffeured Logan airport transportation. Top executives, Universities and college students, tour groups, families, seniors, and people who had need special travel requirements are all examples of our potential clients. They have trusted our dependable Logan limousine service. Also, they trust our talented chauffeurs who can study the most suitable routes that will help you make your next flight or meeting on time. In case you’re arranging a corporate party, a wedding, or a family gathering, guarantee that the majority of your visitors flying all through Logan to reached your venue on time. They might have sufficient energy to remain medium-term in lodging housing, and, if their schedule is tight to arrive and depart, they will rely upon dependable ground transportation. With notification ahead of time, our limo service can give safe ground transportation to each visitor on your rundown. It is our pleasure to give all visitors an unrivaled service while they appreciate everything that delightful Boston brings to the table. We offer a few rental choices that take benevolent and engaging for all age groups, each condition, and at any piece of the day or night. The Limo service to Logan escorts can go about as your travel controls too, and whenever asked for, we can orchestrate limos driven by multi-semantic drivers who can be an immense help. When becoming our customer, you will never look for another Limo service booking whenever you are in Boston on an occasion or a work excursion. We are only a telephone summons, prepared to tackle all your transportation challenges inside Boston and towns in the region. You will be astonished at the instantaneousness with which we are close by to do your offering. We will make your traveling to and from the Logan airports, workplaces, inns, and whatever other location that you indicate, a joy. Call us right whenever, and rest guaranteed of an incredible outing to the carefree, yet the grave historic city of Boston.